Maybe you’ve noticed Mom and Dad’s house starting to decline: counters are dirty, shelves undusted. Or perhaps your sister’s health is waning; she’s growing older and forgets to take her medications. Whatever the signs, you’re beginning to wonder if your loved one needs help around the house. 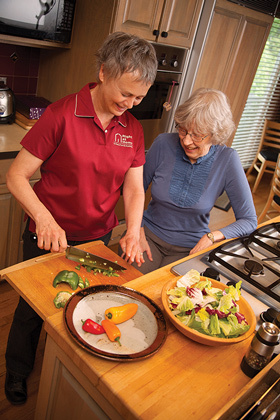 Companionship care and homemaking offer just that: nonclinical assistance for those who need it, without leaving the comfort of home. 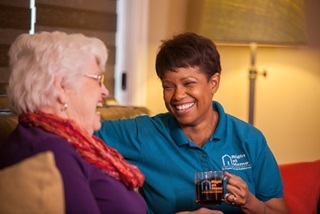 When you call Right at Home, one of their professionals will visit your loved one’s house and provide a free assessment to determine your needs. 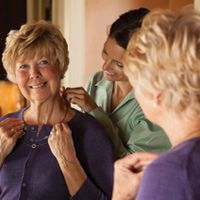 Their professionals are very flexible and will partner with your family to determine the best schedule for companionship care and homemaking visits.